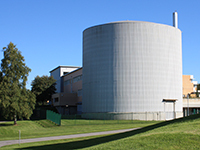 A Postdoctoral Fellowship for 2 years is available at the Department for Neutron Materials Characterization at Institutt for energiteknikk (IFE) in connection with the project “Reflectivity and Interface Diffraction Studies of Emergent thin-film Magnetoelectrics (RIDSEM)”. IFE is an independent research foundation based in Norway at Kjeller and in Halden. The project is funded by the Research Council of Norway, and is a collaboration between the University of Oslo and IFE. It focuses on the synthesis, structural and magnetic characterization of magnetoelectric multilayer systems. Perform reflectivity experiments at large-scale synchrotron X-ray and neutron facilities such as SNBL, ESRF, SLS, Diamond, ISIS, ILL, NIST and FRM-II and carry out the relevant data analysis. Contribute to competence development in neutron reflectometry through publications in peer-reviewed journals. Be actively involved in the construction of the new neutron reflectometer at IFE. Attend joint beamtimes on surface and interface diffraction in close collaboration with the second postdoctoral fellow at the University of Oslo. Candidates are expected to have a PhD or similar in physics, chemistry, materials science or a closely related field. A strong background in solid state physics, chemistry and magnetism is required, preferably with emphasis on thin-film magnetism. Priority will be given to applicants who possess previous experience in reflectometry, the use of polarized neutrons and surface/interface diffraction. Sector Material and Process Technology perform research within renewable energy systems, solar energy, batteries and hydrogen as the future’s energy carriers, energy materials and nanotechnology, advances material characterization by use of neutrons, material processing, as well as within environmental friendly industrial processes. IFE hosts two of Norway’s eight Centres for Environment-friendly Energy Research (FME), the FME Research Centre for Sustainable Solar Cell Technology, and the FME Mobility Zero Emission Energy Systems (MoZEES), covering battery and hydrogen research.